In the beginning there was mainframe; and it was good. On the second day Lord Jobs and Lord Wozniak gathered up the fruits of their humble abode and created Apple; the masses rejoiced at their new freedom. On the third day the Almighty Bill created Microsoft; this caused the people to turn their backs on the Apple for they know not what they do. 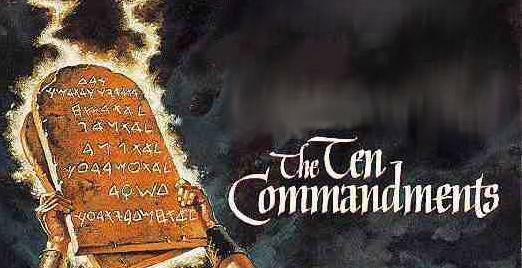 On the last day, the Ten Commandments were created in an attempt to redeem the souls of those peoples. For your added amusement, be sure to visit Idiotwatchers.com, though I'm sure YOU aren't one of them, right?